Ashoka reasons that he was only saving Ahankara. Bindu gets curious about his relation with Ahankara. You attacked your own brother for her? What relation do you both share that is deeper than the relation brothers share? Ashoka replies that she is only his Bhabhi. Bindu still asks him who gave him the right to interfere in their relation. What prompted you to kill your own brother? Say truth tomorrow. It will be Magadh’s Samrat before you, and not your father. I wont be able to save you if you accept your crime tomorrow as well! He leaves from there. Next morning, everyone is gathered in the courtroom. Bindu walks in. Helena was expecting Chanakya’s return. Acharya too hopes that Acharya Chanakya reaches on time. The soldiers bring in Ashoka. He is all chained and there is a big piece of wood around his neck. Dharma and Ahankara are pained to see him thus. Mahamadhya starts the meeting. Today is the worst day in the fate of Magadh. The citizens of Magadh loved him but he instead tried to kill his own elder brother. Sushim is still fighting for his life. He was only taking a stand against what is wrong. Is it a crime? Magadh is the land of truth and justice. Mauarya Vansh came together to end injustice and all the other evil attributes of the world. Ashoka not just went against the law of our palace, he became Agradoot. He revolted against us. He created problems for his own brother. He created fear in Patliputra. 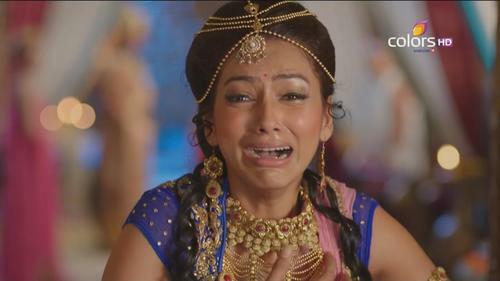 This is the saddest day of Magadh’s history as Ashoka not just attacked his brother Sushim. He also attacked Samrat when he reached there! I request Samrat today to do justice. Bindu asks Ashoka if he wants to say something. Another courtier asks Ashoka why he did this. Charumita reprimands him for trying to kill her son. I took care of your mother. 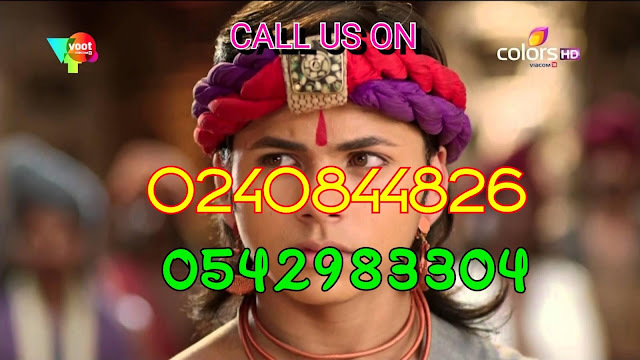 Ahankara and Acharya request him to speak up. Dharma too says the same thing. I wont be able to live without you. Bindu promises to set everything right. Speak truth once. Ashoka gets thinking. I dint attack Sushim. Everyone is happy except Charumita. Bindu walks up to his son. I knew you would never do this. He asks his soldiers to free Ashoka. Ashoka smiles at his father’s loving touch. Ashoka realises he was dreaming. I had no other option. I informed Sushim when I got to know about the injustice happening with the refugees. He dint take it seriously. Mahamadhya says there was no proof against all the so called culprits. They had all the evidences to prove that there was no injustice with anyone. All those, whom you were supporting, were liars! Ashoka wanted Sushim to investigate. He dint listen to me. I thought it to be my dharma to help them. This is why I had to become Agradoot! Mahamadhya continues to talk against Ashoka by giving other instances when Ashoka / Agradoot tried to stop Sushim. You dint even let him meet the refugees. What was your motive behind it? Dint you trust him enough? Or your personal selfishness stopped you from the people finding out about your brother’s good side? Ashoka denies. Mahamadhya insists that Ashoka is jealous of his brother. He lies that he is not interested in sitting on the throne. He planted a seed of rebellion in the people. He attacked his own brother to hide his truth! Daastan looks at his army. Rani Noor is also ready to leave with them. She looks tensed though. She has to force a smile when Daastan looks in her direction. She ties a black thread around his hand. Daastan orders his men to get ready to leave. Rani Noor gets an idea. She intentionally falls down while mounting her horse. She gets hurt by a stone. Daastan immediately rushes to her side. Ashoka says I am not greedy of throne. Bindu reminds him of the main point. Did you attack your brother or not? Ashoka still admits it. Mahamadhya highlights it all the more. I would request Samrat not to delay anymore in giving his statement. Ahankara says this isn’t true. Charumita scolds him for supporting someone who tried to kill her would be husband. Dharma talks in her son’s favour. He can never kill anyone. Rajmata Helena adds that the one who can attack his own father can do anything. Everyone knows about Sushim and Ashoka’s enmity. He is so young yet he has so much anger inside him already. I don’t want him to meet Justin’s fate. This hatred and jealousy will become a problem in future for Magadh. Punish Ashoka for his crime. Dharma denies. He dint intend to hurt his brother. Charumita counters her. If he dint intend it then he wouldn’t have hurt Sushim. Sushim has lost so much blood. He is lying almost dead. It is clear. Ashoka’s motive was to kill his brother only! Bindu seconds Charumita. Epi begins with Charumita saying it is clear. Ashoka’s motive was to kill his brother only! Bindu seconds Charumita. He tells Dharma that she came in his room. You only told me you are well aware of the enmity between Suhsim and Ashoka. You only told me about Ashoka and Ahankara’s relation. Dharma is shocked. When did I say so? Bindu tells her to stop lying. You only came to my room to beg for Ashoka’s life. You told me everything yourself. She says you are mistaken. This angers him. You are calling me a liar? She denies. We dint have any such convo. I will never support something that is wrong, even if he is my son. He tells her to stop. I dint know you will play such a big game with me. You showed me your real face today! You are a cheater and selfish person. I am so pained today. I regret calling a woman like you Dharma. Ashoka looks angry. Bindu regrets finding out the real face of a person before trusting her so much. How could I make such a big mistake? You have turned the tables of lies around so easily. It all seems like a big bad dream. I cannot believe any of it. I made a mistake so many years ago. I want to rectify it today. From today onwards, you will be called by your original name – Shubhadrangi, and not Dharma. Ashoka says you are right Samrat. You have made such a big mistake in recognizing someone for the first time. Dharma tells him to stop. Ashoka tells him to give him any punishment. I request you not to blame my mother for what she hasn’t done. Bindu announces Ashoka guilty. He should be given death penalty. Dharma looks at him shocked. Everyone present in the court is stunned too. Dharma pleads Bindu not to do it. She faints. Ashoka screams Ma. The soldiers stop him. The Daasis’ help Dharma. They take her inside. Ashoka struggles to break free. I want to go to my mom. Acharya Chanakya enters just then. The soldiers move away from Ashoka on his signal. Everyone greets him. Acharya Chanakya asks Bindu if this decision was necessary. Mahamadhya says you dint have to ask this question if you had reached here a while ago. You don’t know what Ashoka has done. Acharya Chanakya knows it already. This is why I am here. Rajmata Helena asks him why he is supporting Ashoka then. a traitor should be killed. My son Justin was also given death penalty. I had killed him with my own hands. Why not Ashoka then? Just because he is your disciple? Acharya Chanakya says your son’s intentions were also made clear along with his crime. He had given the reason behind wanting to kill Samrat and his family. A culprit’s punishment should be decided only after finding all the reasons behind it. I am sure Ashoka dint intend to kill Sushim. Mahamadhya insists that was so. Acharya Chanakya talks about a last instance where truth was made lie. I was also a part of that lie. The people present there had understood it that day that both truth and lies and spoken at times. Samrat was under pressure to lie. Maybe Ashoka is under some pressure. Maybe he is hiding the truth. He requests Bindu to give some time to prove the truth. A soldier comes to update Bindu on Sushim’s condition. His condition is very critical. If he lives by tonight then he will be fine. Charumita rushes off to see her son. Charumita comes to see Sushim. Vaid ji shares that the situation has gone out of hand. I don’t know if he will be alive tomorrow or not. Charumita holds him by his neck. Nothing should happen to my son. Raj Vaid’s disciples request her to pardon Raj Vaid. Charumita cries seeing Sushim. Bindu sticks to his decision. Ashoka will be hanged tomorrow morning itself. The soldiers take away Ashoka. Acharya Chanakya notices Ahankara crying badly. Bindu thinks of pleading to Bindu. Daasi stops her. Dharma insists to talk to Bindu. I will take him away from here. I can live without Samrat but not my son. The Daasi says a traitor cannot get out of here alive. She tells Dharma everything that happened in the court. Raj Vaid gives up on Sushim. Everyone is shocked. Rajmata Helena acts. I cannot see my grandson dying before my eyes. You have to save him. I am not that strong. Siamak talks to Sushim. You never give up. I challenge you to fight with me. Are you scared of losing? You are a coward! Get up. His little brother asks his mother if he will really lose both his brothers tomorrow morning? Bindu walks out of there. Chanakya refuses to let this injustice happen. I have tonight to do something. Precap: Acharya Chanakya requests Bindu for some time to find out Ashoka’s truth. Bindu is not interested to give Ashoka a chance. Acharya Chanakya thinks about this difficult situation. It is almost impossible to help Ashoka now.